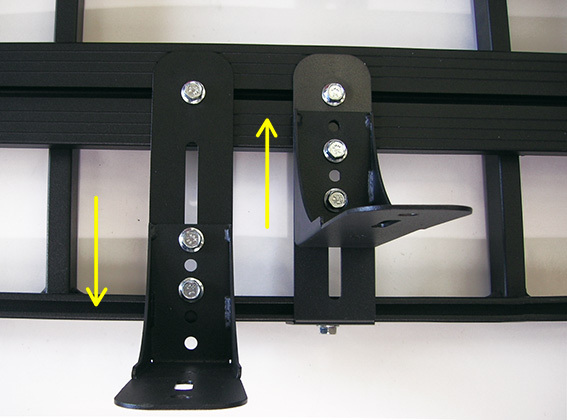 This new awning bracket is designed in two pieces to permit to fit the side awning outside or inside the Upracks roofrack. Sliding in and out following your own necessity. For ex., as showing in the pictures below, if you have a complete top rail or you have loaded on the cage big volumes and you don’t have enough space, with this system you can go over size! 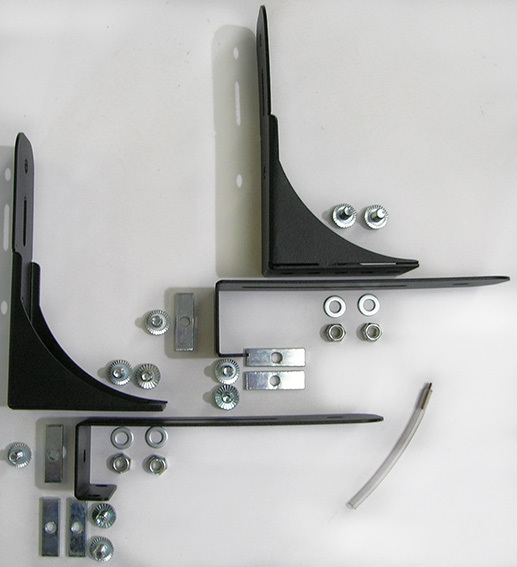 This bracket is especially designed to fit any awning brand. “Slide on” system bracket out of the cage if top rail mounted. “Slide on” system bracket inside of the cage without top rail.